Thunder and lightning are very very frightening but not when you are causing such a storm in these bang tidy ankle boot flats. A star dusting of glitter and metallic appliqué weather adorns the upper and comes with a zipper fastening. 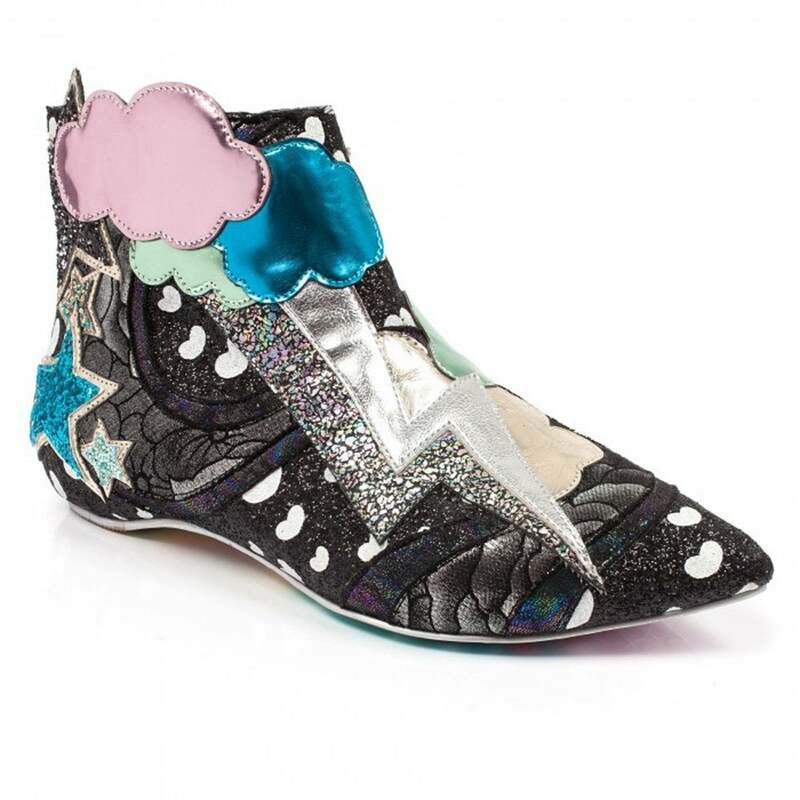 Inside, the shoe is lined with a soft texile material carrying a rainbow print with a lightly padded insole. With their great attention to detail, Irregular Choice have even thought about the sole and covered it with this season's carousel sole design. Get your Irregular Choice Electric Buzz 4350-3B Womens Ankle Boots at Scorpio Shoes!